Copyright © Leadership Letters. 2019 • All rights reserved. The leader establishes the direction or the vision. He aligns the people in that direction. He motivates and inspires them to move in that direction and to fulfill the vision. Servant leaders differ from abusive leaders in all three basic issues of leadership: vision, alignment and achievement. In our previous Letter we examined the first area of contrast between servant and abusive leaders: vision. In this Letter we will consider alignment and achievement. The issue of alignment involves helping the people to understand and embrace the direction. In setting agendas that represent the interests of the organization, servant leaders continuously seek out the viewpoints of their followers on critical issues. They want to have the right vision and they want everyone to own it. Thus, they listen to the ideas, needs, aspirations and wishes of followers and then, within the context of their own secure and well-developed system of beliefs, respond in an appropriate way. They invite two-way communication with others, while still promoting a sense of knowing what they are doing. In this way, servant leaders build a broad understanding and ownership of the vision and a strong commitment to it. People do not follow such leaders because they are ordered to do so, or because they calculate that such compliance is in their own self-interest, but they voluntarily identify with the organization and its vision, and willingly seek to fulfill its purpose. In contrast, abusive leaders unilaterally establish the vision and then impose it on everyone, demanding compliance. Emphasizes internalization of the vision by changing coworkers’ core attitudes, beliefs and values. Emphasizes compliance of behavior and identification with himself. Concentrates on influence from within by encouraging, inspiring and motivating. Depends on external controls from without, using restrictions and rules. Desires power with coworkers. Desires power over coworkers. Elicits genuine and inward ownership of the vision. Often elicits public compliance without private conviction. The issue of the achievement of the vision involves helping the people begin to move and then keeping them moving in the right direction, so that the organization’s purposes are fulfilled. Servant leaders see the potential in their followers who they perceive as coworkers and treat with respect. They are sensitive and responsive to their followers’ needs and aspirations and share both information and opportunities with them. In this way, they achieve higher levels of ability, motivation and commitment. Abusive leaders, however, are not so concerned with their followers. Self-focused, they are insensitive and unresponsive to the needs, hopes and desires of others. Often they are arrogant and harsh. In 1 Timothy 5, Paul shows that a healthy leader values the relationship between believers far above any need to assert or prove his own authority. The leader must not use the depersonalizing “tongue-lashing,” which method of correction relies on fear and authority and is often used when feelings of anger and insecurity are involved. Servant leaders express confidence in followers’ abilities to achieve the vision, and when it is met, they recognize the contributions of others and share the credit for success. Abusive leaders have a low opinion of others and take all the credit for any organizational successes that are achieved. Has a good relationship with coworkers, showing respect for the individual. Relates to coworkers from an “I’msuperior – you’re inferior” attitude. Wisely and selflessly uses organizational resources for the benefit of all. Manipulates organizational resources for personal gain. Denies followers their share of opportunities and rewards. Values individual workers, encourages and praises them, rather than condemns them for every mistake. Has a low opinion of coworkers and is very critical of others’ mistakes. Facilitates through empowerment. Controls through unilateral decisions. Celebrates learning. Points to errors. Lifts and supports. Pushes and drives. Dialogues with people. Talks at people. Stimulates creativity using purpose to inspire commitment. Triggers insecurity using fear to achieve compliance. Encourages input and feedback. Wants no constructive criticism, seeing it as a challenge. Gives coworkers credit for the results. Takes credit for all accomplishments. Promotes respect and honor toward those who have left the organization even if there were significant problems. (For example, one of the marks of a healthy church is that you can leave it without being branded as a “traitor” and without feeling that you’re going to lose your salvation or at least your part in God’s purposes.) Openly attacks and makes examples of those who have “betrayed” him or left the organization in “disloyalty.” Will use verses like 1 John 2:19 when referring to his betrayers and detractors. Empowers others for the organization’s and their own benefit. Avoids work by “dumping” tasks and responsibilities on others. Desires organizational effectiveness but not at the expense of the people. Pushes people to burnout while reaping the rewards of their efforts. Our next Letter will study the contrast between servant and abusive leadership in the area of personal qualities. 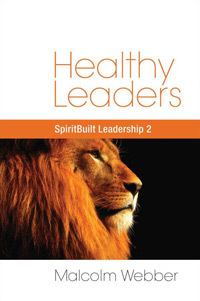 Subscribe to our weekly email and receive Malcolm's E-book on how to build healthy leaders for FREE! Great teaching. Happening in the body of Christ.